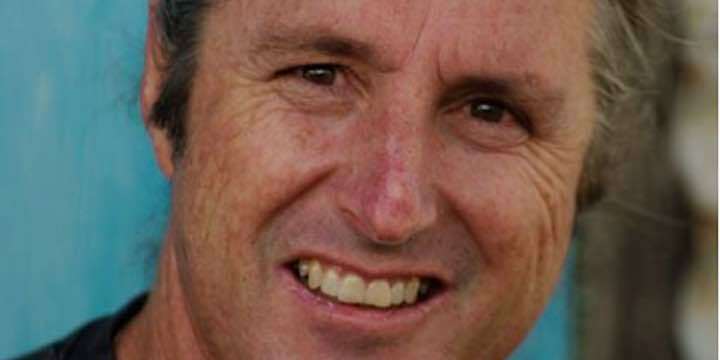 Aussie novelist Tim Winton is without doubt my favourite writer. I especially love That Eye the Sky, a novel of a family that is put under pressure by a serious car accident, and finds relief in unexpected places. It has been made into a film and two stage plays. Last year Tim released The boy behind the curtain, a memoir of autobiographical essays. Perhaps the most memorable essay is Havoc: a life in accidents, which begins with Tim describing a childhood event when his father and he, returning home from a day fishing, came across a motor cycle accident. Tim watches as his dad, an off-duty cop, deals with it all with quiet efficiency. But the story means more than a chance opportunity to assist someone suffering, because it brings back painful memories as Tim remembers a short time earlier when it was his dad, who he once thought invincible, was the one laid low by a motor cycle accident. when he came in his mood was strangely subdued. Then the talk between the adults was hushed and the smells were different. Dad’s tunic would stink of Dettol and petrol. Sometimes there was no chat at all just a hug that went on too long. On rare occasions there was muffled weeping behind closed doors. But then came the day when it was his dad who was almost killed, hit by a drunk driver running a red light and left with severe injuries – crushed chest, shoulder and hip, concussion, broken ribs, collapsed lungs – and close to death. An emergency tracheotomy was performed as he lay in the street. It was doubtful if he would recover, and Tim’s mum, looking after three pre-school children, had to face the possibility of life with an invalid as a husband instead of a breadwinner. Tim, as the oldest of the three kids, had to suddenly mature and support his mum. How do you care for a big disabled cop? His dad lived in bed. He’d lost a lot of weight but he was still too heavy for Tim’s mum to lift, so she had to wash him in bed. One day, an unknown man turned up, uninvited and unexpected, and offered to bathe Tim’s dad. His mum was wary, but desperate. Tim was suspicious and watchful. It was only years later …. …. that Tim learnt more about what had occurred. One day, his dad’s helper brought a bottle of olive oil with him. He anointed the old man with it in the manner of ancient Christian tradition, and ‘laid hands on him’, as the saying goes, praying that Dad might be healed. Neither of my parents was ever keen to talk about this ritual, and they certainly made no special claims for its efficacy, but after the old man’s recovery they became devout and lifelong Christians. His dad was able to stay in the police force against all expectations, even though his body carried aches and weaknesses from then on. Tim says “I witnessed Dad’s swift restoration and renewal and was grateful for it“. He says he has thought a lot about this recovery. How his dad, long used to having a jaundiced view of his fellow humans because of his work, learnt to see the good side of humanity as well. How this one stranger’s actions brought hope and healing to a household on the edge. I don’t know. I don’t set much store by signs and wonders, but I try to keep an open mind. Do healing miracles prove God exists?